wishing everyone inner peace today. 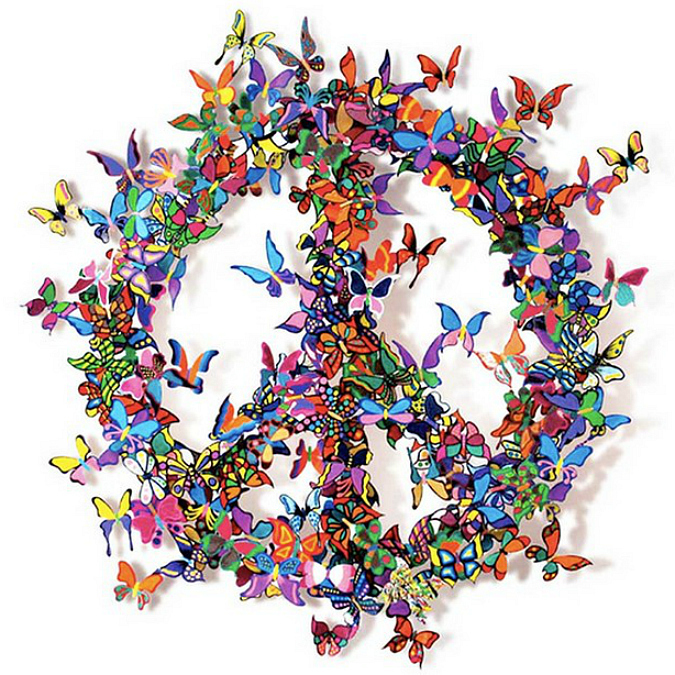 ps: the metal butterfly sculpture is by artist david kracov. ryan and i have actually seen several of his butterfly pieces in person in nyc and they are beautiful and fascinating. What a beautiful butterfly peace wreath. I think I would love all of this man's work. Excellent quotes. You must work inside yourself to find peace. Mediation and Reiki works wonders. That is all we have is the present and so often we are not in it. We relive the past and worry about the future. I am trying more often to train myself to be present because this is what we have now. No sense in missing live waiting for a better moment to come. I read an excellent quote also yesterday about living in the moment. We must both have been shown that for a reason.